Hi everyone. Jan here. Not too long ago, my mom and I were having a conversation about some of our favorite spring flowers -- sadly, none of our favorites have roots in our yard and won't as long as we are renting unless they can live in pots. 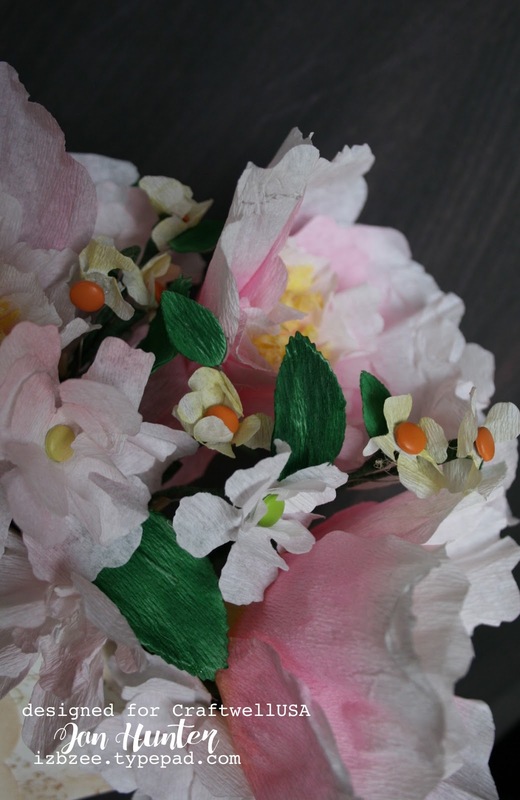 So in the meantime, we decided some paper blooms might bring us a little joy. 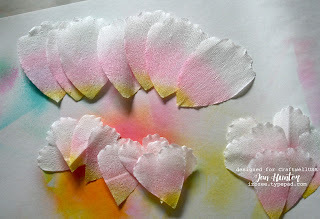 Cut all of your petals for the flowers from the crepe paper. *Tip: Crepe paper has a grain. Be sure to follow the directions on the patterns when cutting. I cut 4 sets of petals for the peonies by hand and 10 sets of petals from the Rose Creation Dies using the Cut n Boss. Add several additional leaves as you'll be doubling the leaves since they will be wired. *Tip: You can cut multiple layers at a time using the scissors and pattern and with the Cut n Boss which definitely cuts down on some of the prep time. 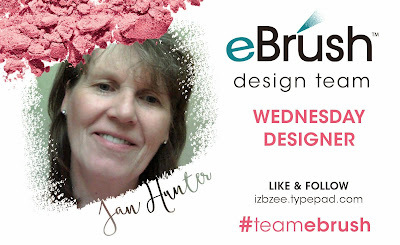 Get your markers and eBrush ready and spray all of the peony petals. I used a yellow at the base of each of the petals and a light pink across the middle of each petal, leaving the top edges of the petals white. Repeat for the other side of the petals. Color the stamens the same shade of yellow. Glue the 3 layers together. Set aside to dry. Cut a piece of crepe paper 3in x 1.5 inches. Spray with a light golden brown on both sides. Cut this piece into 2 pieces, 1.5 x 1.5. Scrunch one piece into a ball about the size of a pea; the second piece, cut in a similar fashion as the stamens, then cross cut into small pieces. These will be the pollen. With the hot glue gun, attach the pea sized ball to the end of a piece of 18 gauge wire. Glue the stamens around the base of the ball. Let dry before moving to the next step. 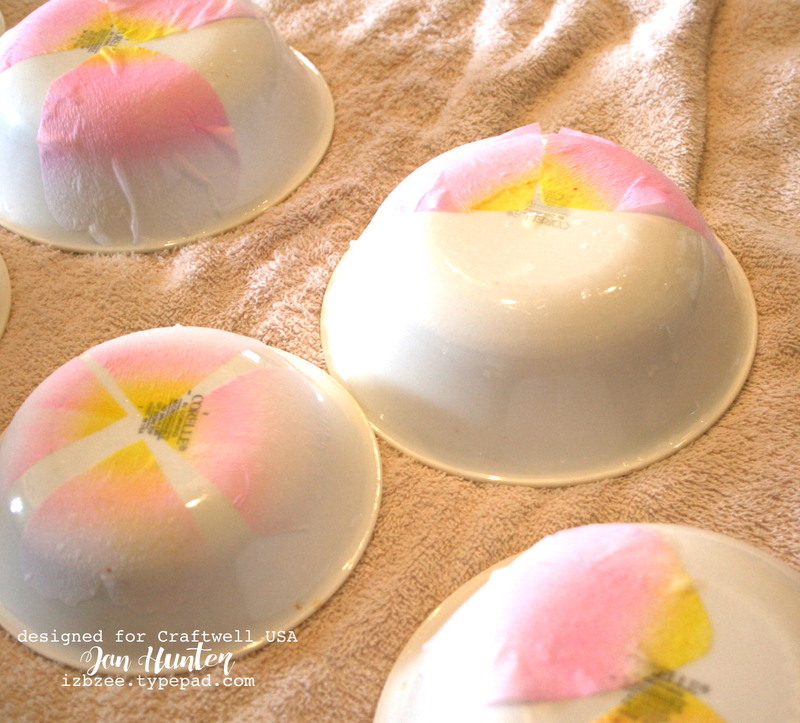 When dry, place a dollop of glue on your craft sheet or a plate. 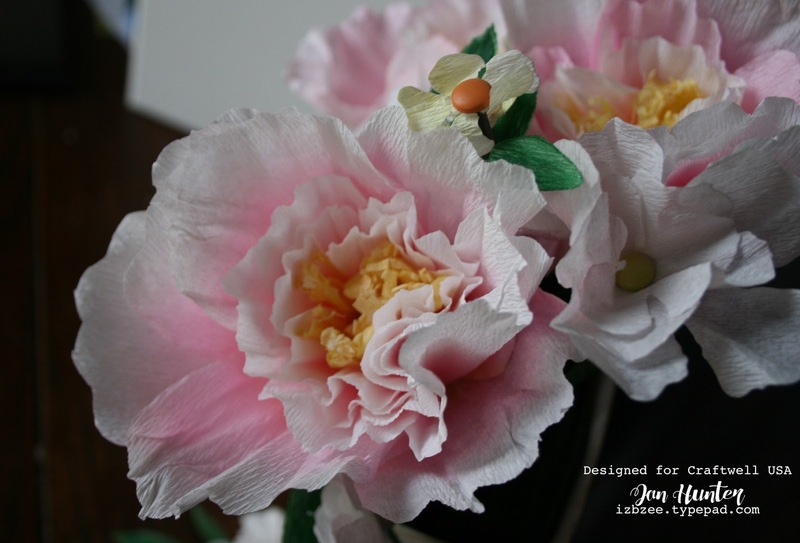 Carefully pounce the stamens into the glue and then into the "pollen" Let dry and repeat for the remainder of your peonies. While you're waiting for the stamens to dry again, shape the petals. You can do that with your fingers, pulling slightly to create a cupped shape OR you can lightly mist with water and lay across the back of a bowl and let them dry. The ink from the markers didn't bleed, and the petals dried relatively fast and were ready to use as soon as they were lifted off of the bowls. Glue the smallest group of petals to the bottom of the stamens or to the wire. Let each row dry before adding the next. Continue to add petals until you've used them all. 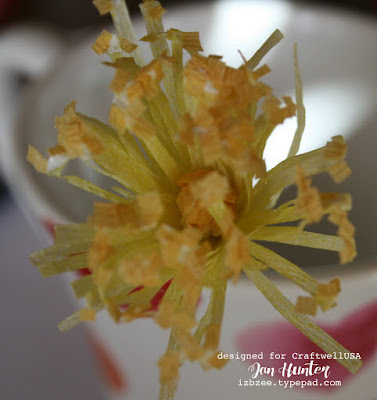 Once your glue has dried, wrap the stem with floral wire. It's time to put the other flowers together. You'll need a brad for each flower. Do not bend the prongs. Use a drop of hot glue to secure the brad and another drop of glue to attach the wire to the prongs. Create 21 flowers out of the layers of petals. Cut some 24 gauge wire and glue in a sandwich of 2 leaves. Use floral tape to cover the wire. Do not add the leaves to the stems yet. 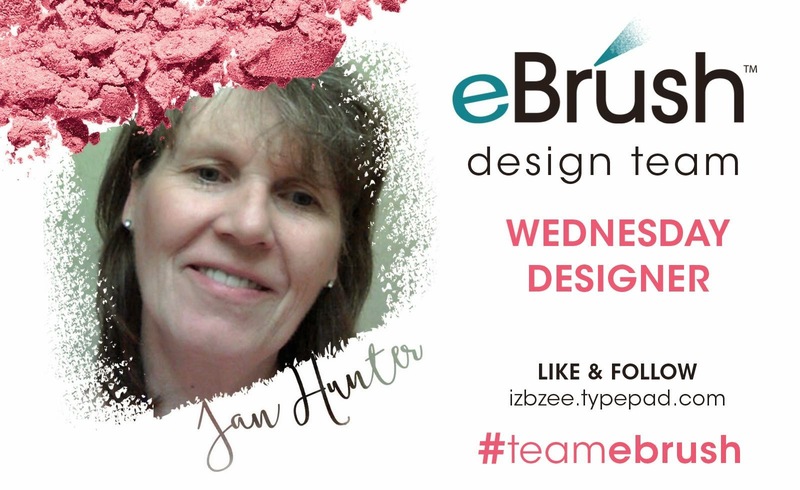 Get your eBrush ready and color these flowers and the leaves. Be sure to color both sides of the flowers, spraying lightly. I chose to use the same yellow and pink markers I used on the peonies. You can group into stems or as single blooms. Leaves can be added to the stems using additional floral tape. Set the blooms aside while you construct the vase. Cut all the pieces for the vase using your electronic die cutting machine. 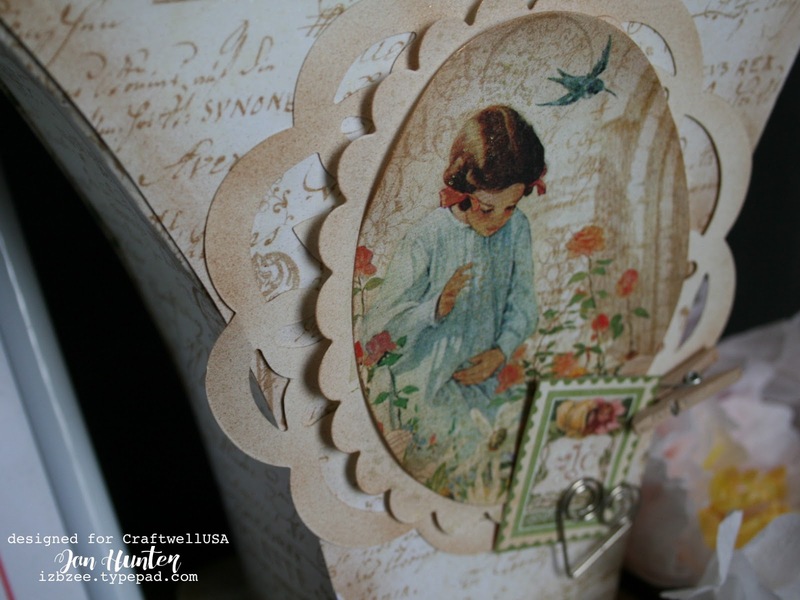 Cut a scalloped oval and fussy cut the image from the Graphic 45 paper. I did not use any of the hearts in the file and changed the decorative square for the base to a rounded square and removed the hearts in each of the corners. Lightly edge the square, the vase and the trim pieces with a light brown. It adds a little more vintage look to the piece. I also sprayed the ovals along the edges. Construction tips for the vase can be found in this video. Change to the siphon and lightly spray with some pearl ex mixed with water. 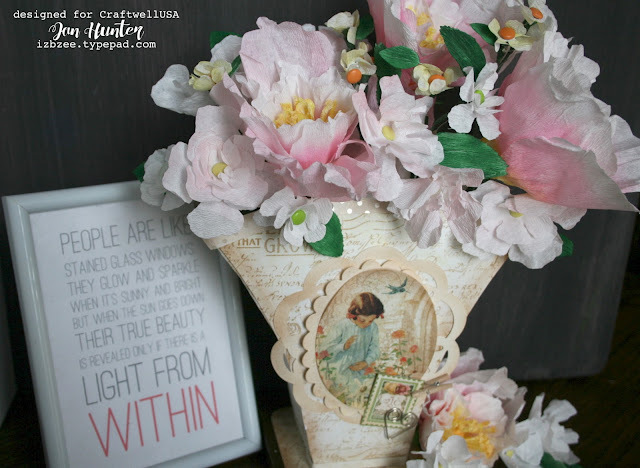 It's a great way to add a little more to the front of the vase -- especially the embellishments which are mounted on foam dots for more interest. You can also spray the stamens on each of your peonies for a little more texture. Let dry. Trim the floral foam to fit in the vase. Add the moss or shredds and arrange the flowers in the vase. I added skewers to my stems for a little more stability since my wire wasn't a heavy enough gauge. The finished size of the vase is 7" w x 8" h. Makes a delightful gift for Easter or a Spring birthday! Have a wonderful crafty and creative day! More ideas and fun can be found on my blog.